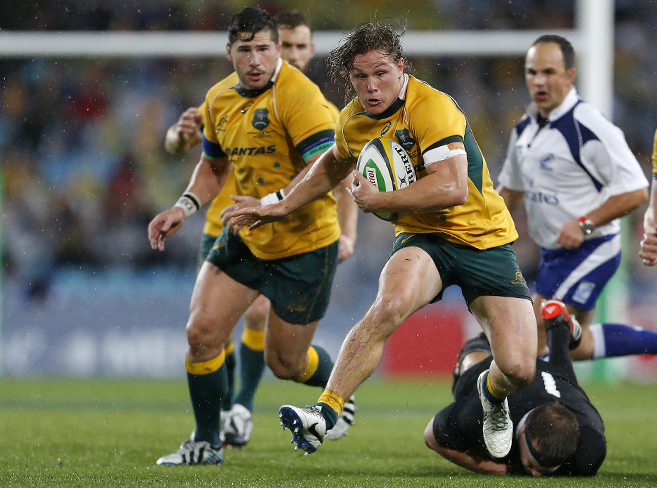 Michael Hooper made it clear how important a good break is, and how grateful he and his teammates were to be given just that after the 2015 Rugby World Cup. “For most of us, it’s probably the biggest break we’ve ever had. It was fantastic to get that amount of time off and great from the club to allow us to have that,” Hooper says. For Hooper, that break meant getting in the water as much as possible around his home city of Sydney, having a few beers, and also getting over to Hawaii to support Mick Fanning at the Pipeline Masters. While Scott Neville is away from the training track, maintaining his fitness is all about incorporating different forms of exercise into his routine. “During the offseason, I always tend to do some activity, whether it’s golf, a swim at the beach, bike riding, or paddle boarding,” Neville says. A strict regime of weight tracking during the regular season has Neville well tuned to keeping his weight in mind, even when away from the pressure of regular weigh-ins. “During the season we all have a weight we have to be on, we get weighed in before and after training, do skinfold tests once a month, and everyone has a target that they have to reach. Maintaining his fitness is all about incorporating different forms of exercise into his routine. Although Neville’s diet tends to skew slightly towards the pointy end of the food pyramid when the A-League wraps up each year, he keeps close track of what goes into his body, always aware that when the training intensity drops off, it affects how much he’s able to indulge. Even with all the effort placed on unwinding and resting his body after a season, Bukuya’s knowledge of what’s to come when training resumes keeps him motivated to ensure his strength and fitness isn’t slipping too far. “You don’t want to make it harder for yourself than it already is come preseason, coming back unfit and overweight. I do enough to maintain myself, but also make sure I enjoy the break. Nothing can save a player from the pain of the first days back come preseason. No matter how much effort is put into maintaining fitness over the break, Hooper says nothing can save a player from the pain of the first days back come preseason. “Getting back into that first week was just nasty. There was no easing into it,” Hooper recalls. “My body, I couldn’t walk by the Wednesday. That was probably the same for most of the guys. “From toes to neck, just sore. Your face sore from frowning so much,” Hooper jokes. Neville says there is nothing like the competition that exists between teammates when it comes to pushing the limits during the preseason. “When we first come back [to preseason] we do a one-rep max for deadlift, a vertical jump, and a VO2 max test, and everyone is always comparing against each other. “It’s a team sport, but everyone always wants to be the best they can be and to push each other. Bukuya makes clear it’s the little efforts that make all the difference when you’re readjusting to full-time training. It’s the little efforts that make all the difference when you’re readjusting to full-time training. “Diet is a huge part of my preparation. Cricket NSW has a nutritionist who helps us formulate our diets,” Chris Green says. “For me I tend to have a big breakfast and then a lighter lunch in the middle of the day – usually a small bowl of pasta. “I do treat myself, though, I’ll have chocolate or ice cream a couple of times a week, which is always a nice treat after dinner. “We’re lucky enough to have our protein shakes shaken up for us every time we walk out of the gym, and when we come off the training field,” says Hooper. The eating is catered to the training load. “The eating is catered to the training load. Carbs when there is going to be days with a lot of running, and trying to minimise those when there’s not [much running],” Hooper says. “It’s a pretty broad diet, which is lucky, because I treated myself to a little bit of KFC about a week ago,” Hooper admits. 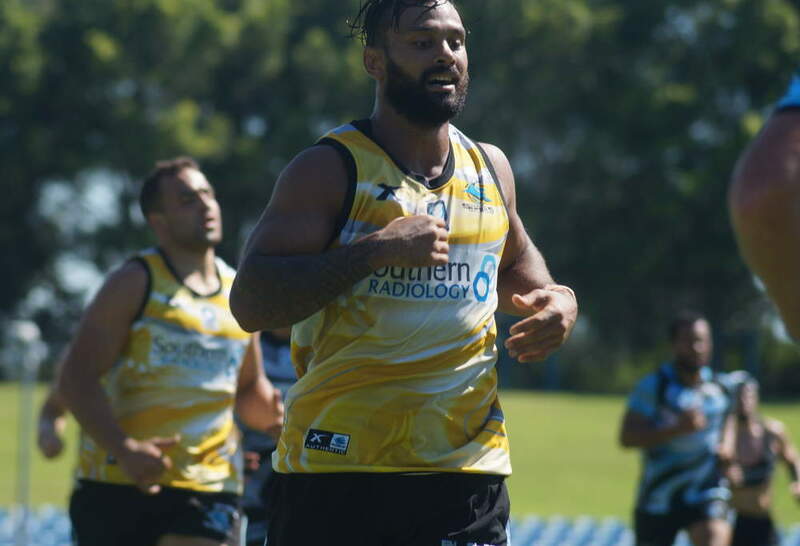 The Cronulla Sharks make sure players have all the help they need, with access to guidance not just from coaches regarding their training, but from dietitians to keep them eating well. “We have dietitians at the club that help us with our meals and twice a week they put on a lunch for us, organise meals in between sessions, and give us ideas on what to eat,” says Bukuya. “You want to be eating the right foods to help fuel your body through preseason, and be eating what is going to give you the maximum gains for your body. “I feel like everything we do is monitored, there’s that much gear,” says Hooper. “The main ones for us that we have going on the field are GPS, so your distance travelled, how far you’re running at a certain speed, all that sort of thing. “That’s live streaming so they can get that straight away on the field and see if you’re working hard or not. “Another one is heart rate monitors, they are used in everything at the moment, to give live feedback on how your heart is reacting to all the training. “At the Thunder we’ve started using GPS trackers, which we’ve been wearing both on training days and game days,” Green says. It’s access to this data that allows players like Green, who are put to work in the outfield during a game, to have a better understanding of what their body goes through on game day, which then affects how they train and prepare for a season. It’s access to this data that allows players like Green to have a better understanding of what their body goes through on game day. For Green, having the knowledge that he’s preparing his body as well as physically possible also brings the positive flow on of mental confidence. “At the Wanderers, Tony Popovic, as well as the strength and conditioning staff, all keep on top of everything: hydration, what we eat, nutrition,” says Neville. “We also have a team app for wellness that we use. Every morning we input into a database. “So I click on the app, then say [out of ten] how I slept, how my body feels, rate muscle soreness, fatigue levels, and how well I repaired from yesterday’s training. “There’s also a little body that lets you click on where you’re sore. Then it will give you a score on how you feel for that day. Along with strict tracking of individual’s key health metrics, the Wanderers collect as much data as possible from GPS and heart rate monitors during training and games. “Every training session we wear a heart rate monitor and GPS. They track how far you run and how hard,” Neville says. “During games, you always try to match the maximum speed and how many kilometres you ran in the first half and in the second half. During games, you always try to match the maximum speed and how many kilometres you ran in the first half and in the second half. “We use GPS gear and heart rate monitors when we’re training, and the club has been trailing a new wristband that monitors your sleep, your distance and how many calories you burn,” Bukuya says. As one of the fittest players in the Sharks’ squad, it’s clear Bukuya thrives off the competition that fitness testing and tracking provides. “When I was 17 or 18, a physio gave me the advice that no-one plays at 100 per cent. Which really surprised me at the time, because I was young, fresh faced and pretty new to it all,” Hooper recalls. Everyone has got something going on and it’s how you deal with it to the best of your ability and how hard you work at getting yourself to 100 per cent that keeps you on the field. “I didn’t really believe him. But now after having been around, being lucky enough to be in this environment for a couple of years, you do realise that everyone has got something going on and it’s how you deal with it to the best of your ability and how hard you work at getting yourself to 100 per cent that keeps you on the field. 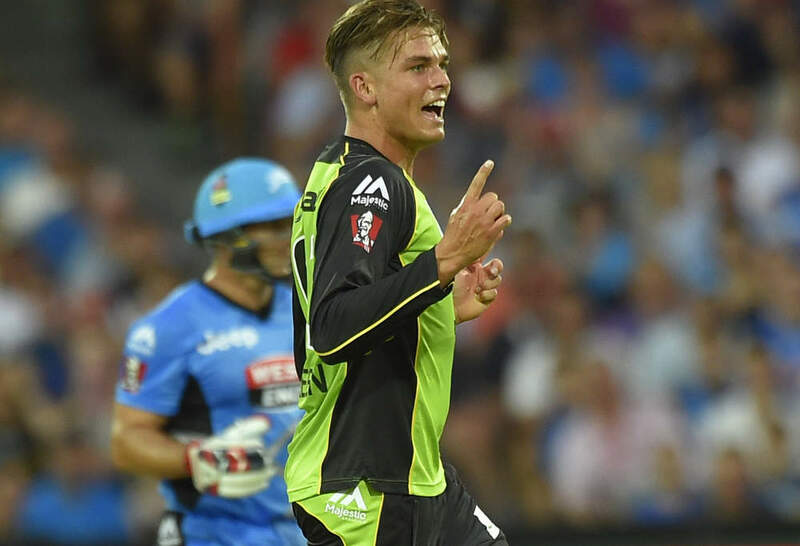 “Whether it’s the strength and conditioning guy in the gym, or the coach, or the physio, you need to know you won’t be crucified for saying ‘this is my body, this is what I need today, or this is what I don’t need today’,” says Green. “Body management,” Bukuya says. “When you’re young you don’t realise how important it is; when you get older you really have to do things like stretching, ice baths, recovery, and little extras in the gym. “Things that you could probably get away with not doing, but that are actually helping you along the way.